Podchraoladh a thugann mo léargas ar chúrsaí an tsaoil agus rudaí a mheallann mo shúil is m'áird. Inniu Aoine an Chéasta. Bliain is fiche ó shin mhúscail mé i mBéal Feirste ar Aoine an Chéasta agus bhí dóchas san aer mar go raibh Comhaontú Aoine an Chéasta á aontú agus bhí ré nua ag breacadh, shamhlaíomar. I mbliana mhúscail mé agus an scéal a raibh ar an raidío bhain sé bean óg,iriseoir cumasach, a maraíodh agus í i láthair ag ciréib i nDoire Cholmcille. Is amhlaidh go raibh Lyra McKee ag seasamh ar chúl poilíní nuair a scaoil gunnadóir leis na poilíní. Bhuail piléar Lyra agus maraíodh í. Bás amháin eile ar liosta fada de bhásanna. Is tragóid gach marú ach ar chúis éigean, samhlaíodh dom go raibh na laethannta seo ar ár gcúl. Cheangal mé na smaointe seo le na mothúcháin a rith liom agus mé ag glacadh páirte searmanaisí Aoine an Chéasta i gCúil Aodha. An mbeidh rogha trachtaireachta Gaeilge ar fáíl le h-aghaidh na cluichí ón gCorn Domhanda do Pheil na mBan a bheidh á chraoladh ar RTÉ an Samhradh seo (comhthogra atá ann idir RTE agus TG4)? Agus beidh mé ag caint ar an ndiospóireacht faoi Bhréag Nuacht a bhí ar 7 Lá an oíche dheireannach - agus cad é a cheapaim faoin gconspóid? Rith roinnt smaointe liom agus mé ag éisteacht leis an gcaint ar fad faoi Notre Dame Pharas, a loisceadh i dtine aréir, agus an scéal go mbeidh craoladh beo ar chluichí ó Chorn Domhanda Sacar na mBan ar TG4 agus RTÉ 1 an Samhradh seo. Maidir le Notre Dame, is uafásach an scéal é ach ar a laghad nior nior maraíodh éinne. Rith sé liom go bhfuil sé ait go bhfuil an oiread san imní ar roinnt trachtairí faoin ardeaglais seo, siombal de Chultúr na hEorpa agus cuid tabhachtach den oidhreacht sin, ach gur mailís is droch intinn atá ag na daoine céanna i leith na Gaeilge agus í chomh leochailleach céanna, agus chomh tabhachtach céanna i gcultúr na hEorpa. Maidir le Corn Sacar na mBan. Bhí fear ag gearán ar chlár raidió Ray Darcy go mbeadh cuid de na cluichí ar TG4 agus ag iarraidh ar an gcainéal Ghaeilge a chinntiú go mbeadh rogha de thrachtaireacht Bhéarla ar fáíl, mar atá sa Bhreatain Bheag. Fáilte go domhan s'againne an tuairim a rith liomsa! Is duine 'gloine leath lán' mise. Ní thagaim leis an smaoineamh atá coitianta go bhfuil an Ghaeltacht ar leaba a báis. Feictear dom go bhfuil dóchas agam as an nglúin atá le teacht agus an tasc atá romhamsa ná an oiread agus is féidir a dhéanamh chun feabhas ar chúrsaí san idirlinn. Tá an eagrán seo de iGaeilge ag féachaint ar phlé a bhí idir Ronán Mac an Iomaire, Stiurthóir Phleanála Teanga an Údaráis, agus an teangeolaí, Brian Ó Curnáin ar an eagrán is déanaí de 7 Lá, a chuir Máirín Ní Ghadhra i láthair. Tá blúirín ann a dheineas do Dhámhscoil Mhúscraí Uí Fhloinn ag an deireadh chomh maith. 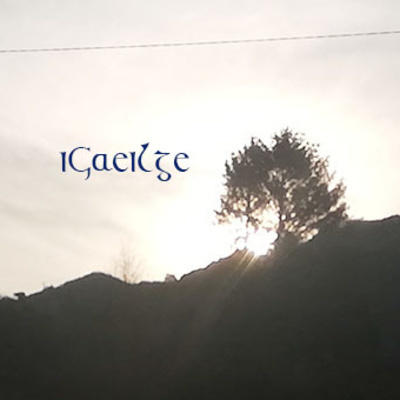 IGaeilge - an leithscéal sin ar 7 Lá agus cad a deir sé faoi sláinte an dhioschúrsa phoiblí i saol na Gaeilge - agus síntí fada arís! San eagrán seo cuirim ceist faoin leithscéal sin ar 7 Lá aréir - cén fath ar gabhadh leithscéal? Cá bhfuil an clár ar a raibh an t-abhar a spreag an leithscéal? Tá 7 Lá, 26 Márta, imithe den seinnteoir. Dá mba rud é go raibh mise ar ais ar Bhórd TG4 bheinn ag cur go leor ceisteanna faoin eachtra áirithe seo mar go bhfagann sé TG4 faoi scamall. 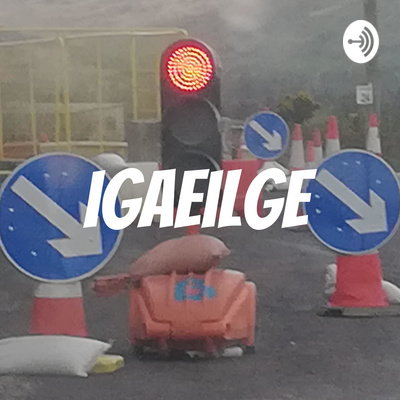 iGaeilge - Tír Gan Teanga, Tír gan Ainm! Dea smaoineamh an lae: Cuir ceist ar do choiste bailte shlachtmhara áitiúil iarraidh ar pholaiteoirí gan ach postaeir i nGaeilge nó dhá theangach leis an Ghaeilge in uachtar a chrochadh in airde sa Ghaeltacht. Cuir ceist ar do pholaiteoir áitiúil nuair a thagann siad chuig do dhoras....má tá sé iontu teacht go dtí do dhoras ag lorg do vóta.... Aon litríocht a thagann ó aon iarrthóir atá i mBéarla amháin a thagann chughamsa, ní bhfaighidh sé nó sí aon vóta d'aon uimhir uaimse..... Abhair eile atá faoi chaibidil san eagrán seo feachtas Uí Chofaigh i leith na sínte fada, alt ainniseach eile ag íonsaí na Gaeilge, an uair seo san Irish Examiner. Díreach mar a deir sé ó thuaidh le cúpla tagairt freisin do leabhar nua Chaoimhín de Barra, 'Gaeilge - A Radical Revolution' (beidh agallamh leis go luath ar an bpodchraoladh seo) agus don bhlag nua, saolcorrach.wordpress.com. Seo mise arís le tuilleadh tuairimí agus ramhaillí - bain taithneamh as - nó ná bain - agus as an deireadh seachtaine. Beidh mé ar 'Tús Áite' inniu freisin ag 5.20in ag caint faoin mBreatimeacht agus "Cinsireacht ar TG4". 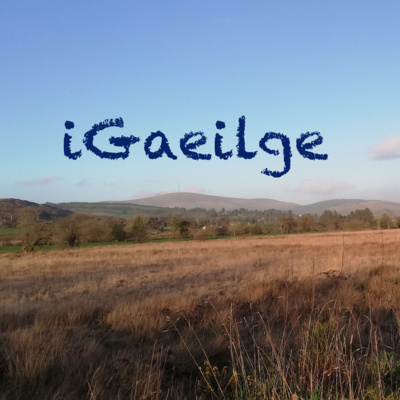 iGaeilge - Bí Cúramach Cad é a Ghuíonn Tú ar a Shon! 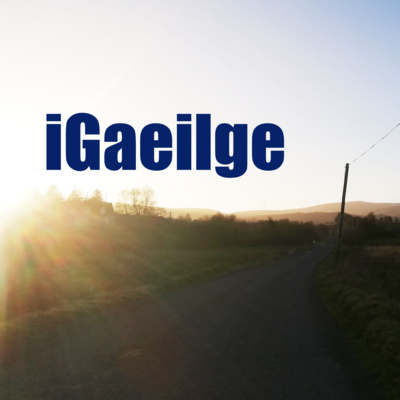 iGaeilge, 'Cinsireacht' ar TG4 agus conspóidí Laochra Gael/Mná an IRA. Fáilte rómhaibh go dtí an eagrán is déanaí de mo phodchraoladh. Seo iGaeilge ar an Luan, 25 Márta, 2019. Tá an podchraoladh seo á thaifeadadh agus ó chraoladh ó Chúil Aodha i nGaeltacht Mhúscraí. Ag caint aréir i mBaile Mhúirne mhol Cormac Ó hAodha go n-úsáidfeadh daoine sa cheantar 'Gaeltacht Mhúscraí' ina seoltaí poist le tabhairt le fios do na h-údaráis gur ann don Ghaeltacht i gContae Chorcai agus gan ligint don tuiscint sin imeacht as radharc. Fáilte romhaibh a chomh Sceimhlitheoirí Chultúrtha, sinne atá ag iarraidh inár slí beag féin bheith ag obair ar son na Gaeilge agus rud éigean a dhéanamh chun í a thabhairt slán agus beo beathach don ghlúin a thagann inár ndiaidh. Inné thug an Choimisiún um Ghearáin Craolacháin breith i leith ghearán a rinne Julian de Spáinn faoi théarma maslach, Cultural Terrorists, a thug Ivan Yates ar dhaoine a bhíonn ag plé leis an nGaeilge. Diultaíodh don ghearán ar an ábhar gur diospóireacht poiblí a bhí ann agus nach raibh i gceist ach iarracht chun argóínt te teasaí a spreagadh. 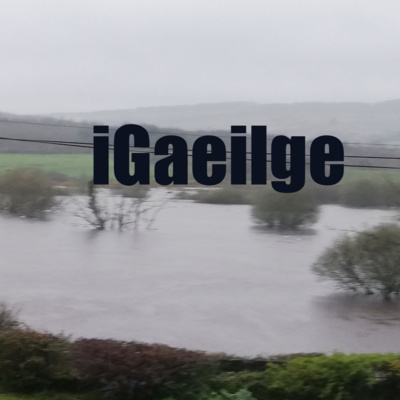 Is cuimhin liom le mo linn gur tugadh 'abrasive Gaels', 'Taliban Teanga' is 'fanaiceoir' ar phobal na Gaeilge. An másla is measa ná go gcuirtear in iúl gur pobal sinn atá ag labhairt teanga atá marbh is nach ann dúinn. Táimíd beo. Fáilte romhaibh chuig an eagrán seo de iGaeilge. Inniu an 21ú Márta, comhnocht an Earraigh. Tá síneadh breá sna trathnóntaí. Ábhar a fhéadfadh bheith conspóideach atá á phlé inniu - oibiachtúlacht na h-iriseoireachta, an bhfuil feidhm leis i ré an idirlín? 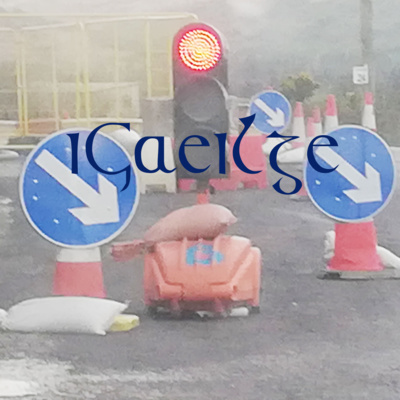 Agus conas mar a bhaineann sin le cás na Gaeilge/na Gaeltachta? Fáilte romhaibh chuig an eagrán is déanaí de iGaeilge. Cothrom an ama seo, ar an 18ú Márta 1969, a cuireadh tús le Gluaiseacht Cearta Sibhíalta na Gaeltachta. Eagrán suimiúil agus ba mhór is fiú an leath uair breise. Ba bhreá a thuilleadh eagráin mar seo. Ag an am chéanna bhí an fócas ró mhór ar an aimsir atá caite agus an méid a baineadh amach i 1969 agus ó shin - gan a dhothain béime ar na ceachtanna atá le foghlaim ag an nglúin seo chun aghaidh a thabhairt ar na dúshláin atá romhainn. Bhí sé seafóídeach chomh maith go raibh ar an gcainteoir ó Thír Chonaill agallamh a dhéanamh trí Skype le bheith páirteach beo sa chlár seachas go raibh ceangal ceart theilifíse ann idir Ghaeltacht Chonamara agus Gaeltacht Thír Chonaill. Fáilte romhaibh go dtí an podchraoladh seo ina bhfuilimíd ag díriú ar thuismitheoirí le páistí atá ag freastal ar scoileanna lán Ghaeilge nó Gaeltachta. Díríonn an eagrán seo ar an gcorp, éadaí, bia agus deoch, dáthanna agus cruthanna. Bain taithneamh as. Welcome to this podcast which is focused on supporting parents whose children are attending Irish medium and/or Gaeltacht schools. This edition focuses on terminology to do with the body, clothes, food and drink, shapes and colours. Enjoy. Bhí ana cheiliúradh againn inné ar an bhféile náisiúnta i Múscraí agus paráid ana shiamsúil i mBéal Átha'n Ghaorthaidh. Inniu, táimíd ag smaoineamh ar an ghnath shaol, Éire Aontaithe agus an 'brat úd' i Nua Eabharc, an Bhreatimeacht agus casadh eile arís ar an mbóthar agus rudaí deasa Gaelacha a thárla inniu cheana féin. Inniu, 15 Márta 2019, tá ceannaras nua Ráidío Fáilte ag oscailt i mBéal Feirste. Is mór an spreagadh a scéal, thosnaigh siad ag craoladh gan cheadúnas. Taca an ama seo anuraidh a bronnadh an gradam 'Staisiún Ráidió na Bliana' ar Ráídió Fáilte ag Féile na Meán Cheilteach. Is fada an bóthar é sin! Spreagann sé mé le tabhairt faoin bpodchraoladh seo - agus podchraoladh a bheidh á sheoladh agam go luath le díriú ar Chúil Aodha, m'áit dhúchais anseo i nGaeltacht Mhúscraí. In éagmais irischlár dár gcuid féin ar sceideal Ráídió na Gaeltachta, táím ag cur tús le seo le scéalta, seanachas, ceol, amhráin agus dánta an phobail seo a chur ós bhúr gcomhair. Bí ag faire ar an aerspás seo! 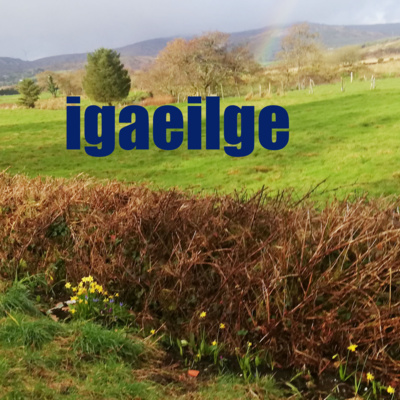 Seo é an eagrán is déanaí de iGaeilge ina dtugaim m'fhreagra ar an chorr is déanaí i gcás theaghlaigh Dhomhnach na Fola ar son na cora agus an chasadh is déanaí ar bhóthar chasta na Breataine i dtreo na Breatimeachta. Domhnach na Fola Eanair 1972 Le Dónal Ó Liatháín Mar a shníonn an Fheabhail go leathan, go ngéilleann sí don ghlas-mhuir, Thárla slad-mharú an Eanáir san bhliain a seachtó dó Nuair a ghluais an slua gan airm ar mhór-shiúl d’éileamh cearta Is i nDoire teann na bhfallaí d’ardaíodh an gleo. I mbarr Shráid Liaim do scaipeadh iad ag uisce ‘s gás an airm Is go taobh an Bhogaigh treasna do chúlaíodar gan treoir, Ach na ndiaidh fé luas na Paras is ar Chearnóig chéasta Rossville Triúr déag fé lamhach gan taise fagadh marbh ar an bhfód. Ba dhubhach Dé Luain an baile is a muintir suaite creachta, Ag roinnt na gcorp mbocht stracaithe is a a n-ardú ‘bhaile leo; Is an Céadaoin duairc a lean é, ba thomhaiste trom an fhearthainn, Is na sléibhte i gclúid fé mhairg i ndluth bhrátaibh ceoidh. San reilig thuaidh cois caladh bhí brón ar Ghaeil is fearg ‘S do cháíneadar na barbair a scaoil na urchair leo, Ach ní thógann caint ná paidir ón mbás arís na mairbh Mar le spórt an tsaoil táid scártha is ní fhillfidh chughainn go deo. Go dtóga Críost gach anam díobh ‘na líonta lána casta, Go gleanntaibh árd na bhFlaitheas go brách i measc na naomh; Is más toil Dé go leanam iar ar bhóthar cruaidh na staire, Nach fearr an bás tá fearúil ná náir’ ós comhair an tsaoil; An bhfuil leigheas ach bás nó gaisce is cuirp ‘na línte leagtha; An bhfuil aon cheart do lagaibh gan lámhach gunnaí is piléar? Nó an mbeidh sa chré ‘na bhfairis, ó Gaeil is Gaill ‘na sreathaibh Sula scaoilfear snaidhm na staire is go mairimíd fé shéan. 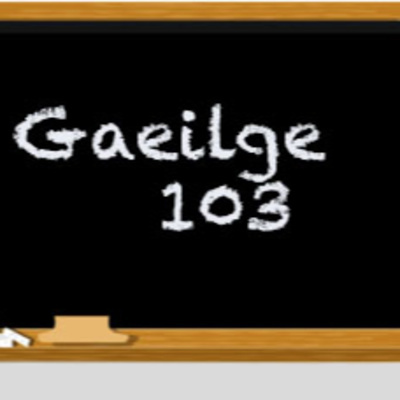 Tá an podchraoladh seo dírithe ar thuismitheoirí le daltaí ar scoileanna ina bhfuil an Ghaeilge mar theanga teagaisc ann - scoileanna Gaeltachta agus Gaelscoileanna, tuismitheoirí ar mhaith leo a gcuid Gaeilge a fheabhsú. 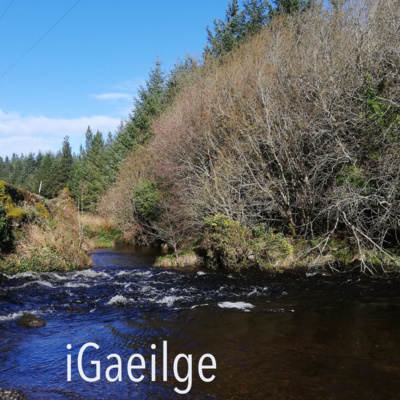 Tá an podchraoladh ag díriú ar chúrsaí scoile, ag scríobh nóta chuig an Priomhoide/Múinteoir, ag cabhrú le do pháiste obair bhaile a dhéanamh. This podcast is aimed at parents whose children are attending Irish medium schools and who want to improve their Irish. This particular episode focuses on school and homework, writing a note to your child's teacher or principal, helping him/her with homework. San eagrán seo de iGaeilge, tugaim faoi fhíseán atá éisithe ag Fianna Fáil ag déanamh ionsaí ar an Rialtas faoin slad atá á dhéanamh ag an nGaeltacht. Cé go bhfuil go leor den fhírinne sa bhfíseán, tá slad déanta ar an nGaeltacht le tamall de bhlianta anuas, deich mbliana a luaitear san fhíseán, bhí FF i gcumhacht nuair a thosnaigh an slad seo. Go deimhin i 2002/3, bhí Éamon Ó Cuív ina Aire nuair a gearradh go substaintiúil buiséad an Údaráis (agus buiséad an Fhorais). Agus FF i gcumhacht i 2010/11, dúnadh OIfig an Phoist Bhéal Átha'n Ghaorthaidh. Tuigtear dom freisin go raibh Siopa Uí Chorcora atá príomh ról aige sa bhfíseán dúnta roimh don OIfig a Phoist bheith dúnta, is é sin le rá le linn FF bheith i gcumhacht. Ag tús an podchraoladh, déirim dán a chum m'athair, Dónal Ó LIatháin, in omós do Naomh Phádraig. Seo áis do thuismitheoirí atá páistí leo ag freastal ar Scoil Gaeltachta nó Gaelscoil nó scoil ar bith ina bhfuil an Ghaeilge á múineadh ann agus iarracht á dhéanamh ar an tumoideachas. This is a resource for parents/guardians whose children are attending Irish medium schools. Díríonn an eagrán seo ar an scoil. This edition focuses on the school. Beidh páirteanna eile ar an ábhar seo. There will be follow up editions on this subject. 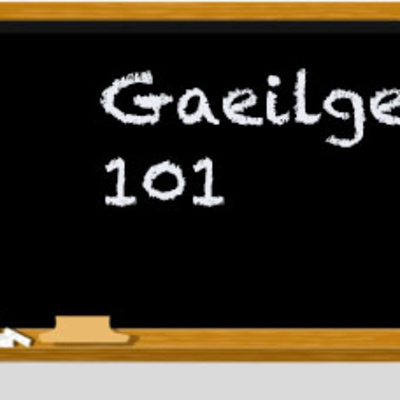 Seo an dara mhír den rang Ghaeilge seo. Tá sé dírithe ach go h-áirithe ar thuismitheoirí atá páistí ag freastal ar scoileanna Gaeltachta nó Gaelscoileanna. This is the second installment of my Irish class. It's aimed specifically at parents/guardians whose children are attending Gaeltacht schools or Irish medium schools. Roinnt tuairimí fánacha uaim faoin bpop up Gaeltacht i nGaeltacht Uíbh Ráthaigh, fograí Gaeilge ar an raidió agus na meáin soisialta agus go leor eile. Cúpla fógra freisin. Seo podchraoladh speisialta do dhaltaí atá ag freastal ar ranganna atá á múineadh agam faoi láthair. Tá na ranganna seo dírithe ar thuismitheoirí go bhfuil a bpáistí ag freastal ar Ghaelscoileanna/Scoileanna Ghaeltachta. 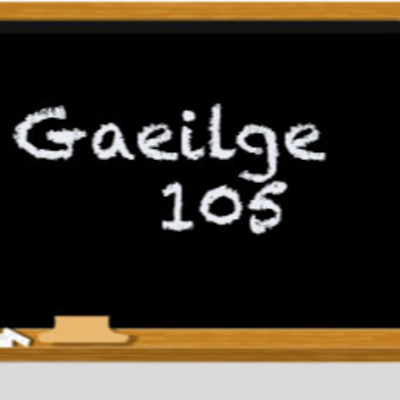 Sna scoileanna seo is í an Ghaeilge teanga na scoile. Tá fáilte romhaibh an podchraoladh seo a scaipeadh ar bhúr gcáirde atá ag foghlaim más maith libh. 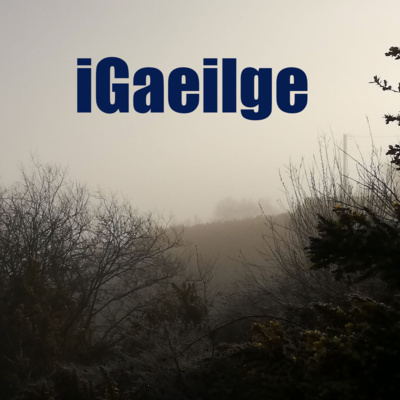 Gaeilge/Gaoluinn Mhúscraí isea an chanúint atá agam. Fáilte go dtí an eagrán is déanaí de mo phodchraoladh, iGaeilge. Seo mise ag caint faoin gconspóid is déanaí maidir le méid an Bhéarla ar TG4. Dar liom tá an cainéal idir dhá thine Bhealtaine. Ní féidir leis an croí phobal a shásamh gan níos mó Gaeilge a chraoladh ach ní féidir leis an staisiún maireachtain san aeráid pholatúil (na déine) atá ann gan an mór phobal a thabhairt lei. Tá gá dár liom le cainéal nua ar líne ar nós Molscéal agus Bloc chun riar a dhéanamh ar fhoghlaimeoirí fásta. Tá gá le droichid a thogáíl idir an dhá bheann a luann ceannasaí TG4 lena pholasaí dhá bheannach. Bhíos ar mo shuaimhneas glan ar maidin agus mé ag siúl le mo dhá ghadhar. Chuas suas i dtreo Barr d'Ínse agus stopamar ag an droichead thar an tSuláin in aice leis an scoil. Chuala mé fuaim na h-abhann ansan. Agus d'áírigh mé na grastaí ó Dhia - grastaí an tsaoil más fearr leat - agus ansan d'fhilleas agus briseadh isteach ar mo shuaimhneas le smaointe faoin mhéid a bhí le rá ag Karen Bradley i leith na daoine ar mharaigh Arm na Breataine agus Póilíní ó thuaidh le linn na coimhlinte. Dar lei, nach coireanna abea na feallmharuithe seo. Ar ndoigh, dob iad. Agus ansan ar mhaithe leis an crá croí a ruaigeadh téim go tabhairne i Kimmage, Baile Átha Cliath mar atá fear a'tí ag lorg tabhairneoir le Gaeilge le h-obair ann. Yu Ming is ainm dom - NOT. 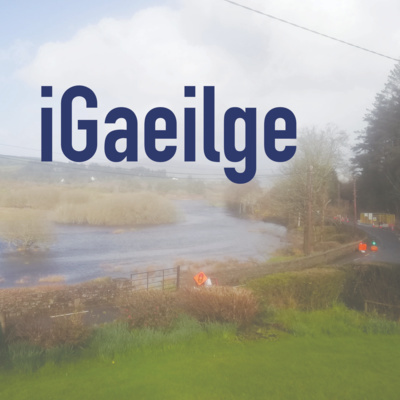 Mo fhreagra ar Lá na Meán Soisialta 2019, ceann de mhór laethannta Seachtain na Gaeilge na bliana seo. 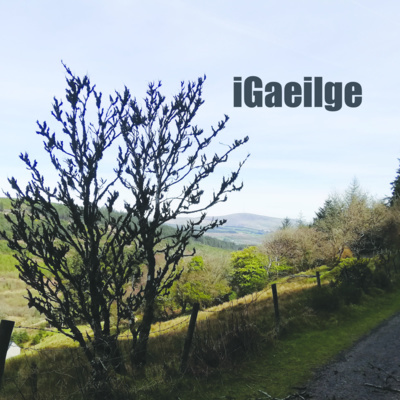 An tabhacht atá leis an Ghaeilge a úsáid ar líne agus gan beag a dhéanamh den mhéid Gaeilge a labhartar/a úsáidtear ar na meáin soisialta. Deir daoine nach ionann é agus an fíor chomhrá a bhionn agatsa agus agamsa nuair a chastar ar an sráid sinn. Ní aontaim. Tá luach leis agus ní beag é, ní beag é in aon chorr. Tagraim freisin don nós atá ag Gaeil bheith ró bhreithiúnach i leith Gaeilge dhaoine eile agus a bheith ag caitheamh anuas ar. Ní dea nós é sin. Ar eagla na mí thuisceana, níl aon ceangal oifigiúil agamsa ná an podchraoladh seo le Seachtain na Gaeilge nó Lá na Meáin Soisialta. Níl anseo ach m'fhreagra pearsanta ar an ocáid. A cháirde, seo léargas níos pearsanta b'fhéidir ar mo shaol inniu, tar éis dom filleadh ar m'áit dhúchais ó bheith ó thuaidh, mo shaol i Múscraí, thar nais le mo chlann agus mo mhuintir, Cór Chúil Aodha, múineadh na Gaeilge/Gaoluinne, cén fath go bhfuilim ag déanamh an podchraoladh seo in aon chorr. Maireann sé timpeall leath uair a chloig. Ná h-ábair ná bhfuair tú foláireamh. Seachtain na Gaeilge atá ann agus ba cheart go mbeimís ag ceiliuradh na Gaeilge - agus tá - ach ar dtúis roinnt nótaí do chraoltóirí ar nós an BBC a chreideann gur deá smaoineamh é bheith ag déanamh cocstaí d'ainmneacha Gaeilge a fhoghrú - rud nach ndéanfadh siad le teangacha eile de réir mo thaithí. Tá an BBC agus craoltóiri seirbhíse poiblí eile - táim ag caint fúibh, RTÉ - in ainm is a bheith neodrach. Tá rud éigean le rá agam faoi éileamh iar imreoirí aitheanta an CLG ó thuaidh go mbeadh an chumann ag tacú le h-éilimh na mball go mbeadh reifreann ann ar son Éire Aontaithe i bhfianaise go bhfuil Breatimeacht ag teacht agus treisiú ag teacht ar an éileamh ar son athaontú na tíre chun na sé chontae a choimead san Aontas Eorpach - agus amach as an Ríocht Aontaithe i ré Breatimeachta. Ní ghlacaim leis an dtuar a rinne Seán Ó Cuirreáin, iar choimisinéir teanga, agus é ag tagairt don mbaol go n-iompófaí an Ghaeilge ina 'zombaí theanga' de bharr go bhfuil an Rialtas tar éis a hata a chaitheamh leis an dteanga. 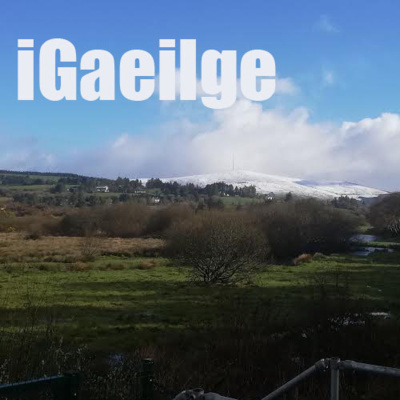 Fúinn féin atá slánú na Gaeilge sa Ghaeltacht. Nach bhfuil an ceacht sin foghlamtha againn go fóill! Is tá go leor tuair dóchais ann ach iad a thabhairt faoi ndeara. San eagrán seo tugaim mo léargas ar scannán nua Netflix, Velvet Buzzsaw, scannán atá lonnaithe i saol ealaín Los Angeles agus atá gné scanrúil ósnadúrtha ag baint leis. Tá suim agam san ábhar ós rud é go rabhas mé féin ag obair i nDánlann go dtí le déanaí. Agus tugaim gairdeas freisin do mo sheancháirde, Seamus agus Seán Mac Seáin atá ag fáil Gradam Ghlór na nGael ag an deireadh seachtaine nuair a bronnfar na gradaim ar fad ag ocáid in Óstán Ghlasáin, Co. na hIarmhí. 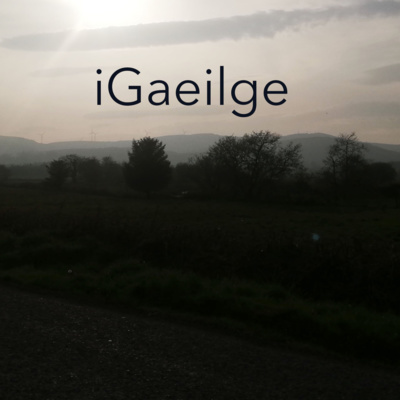 Podchraoladh i nGaeilge, iontas na n-iontas. Beidh míreanna éagsúla sa phodchraoladh - rachtanna feirge, tuairiscí nuachta, agallaimh, léamhanna, ranganna is eile.